The Arctic is warming twice as fast as the rest of the world, melting the glaciers and ice abundant there. At the current rate, sea levels could get up to 0.6 meters (two feet) higher compared to 2005 levels by 2100. This means that a great number of coastal communities and small archipelagos around the world face an existential threat. Conclusion: time is running out for the world’s glaciers. Most of us don’t worry too much about that. Climate plans are unlikely to shift our mindsets dramatically at the polls. And that means climate action slowly slips through the cracks, until a catastrophic event, likely fueled by global warming, reminds us of what’s at stake. Scientists, on the other hand, have known about this for a while, and they’re really worried. They freaked out. And now even scientists, arguably the most cautious group of people on the planet, are suggesting some crazy last-ditch solutions. The first of the cockamamy, desperate schemes: a wall 100 meters (330 feet) high, built across the 5-kilometer (62-mile) fjord in front of Greenland’s Jakobshavn glacier. Its purpose: to block warm water from reaching the sea. 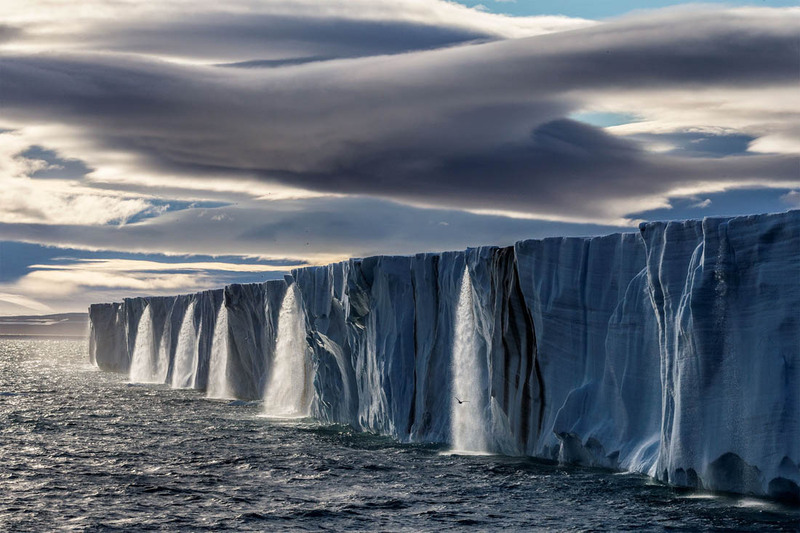 There are other proposals laid out in a Nature article that advocates for extreme interventions intended to save the polar ice caps. One would involve creating an archipelago of artificial islands to support the most vulnerable glaciers in West Antarctica to stop warmer waters from circulating. Another: pump cooled brine under the Pine Island Glacier in Antarctica to slow down ice melt from below. The authors, from China, Finland and the U.S., acknowledge that all these projects would cost billions of dollars and disrupt the environment in ways we can’t fully predict. But plans like these are becoming not only necessary, but economically competitive - not acting on the climate will be even more expensive. “Without coastal protection, the global cost of damages could reach US$50 trillion a year,” the researchers write. Statements like these are especially notable because scientists are usually so careful in their statements. The UN Intergovernmental Panel on Climate Change (IPCC), for example, is under constant scrutiny for its cautious attitude to communicating climate risks. And those who spread scary messages are blamed for failing to convey the nuances of global warming.